Dalhousie's Social Work Community Clinic now calls Quinpool Road home. Plan to attend the Lloyd Shaw Lecture in Public Affairs on Wednesday, October 17 at 5:30 p.m. in the Scotiabank Auditorium, main floor of the McCain Faculty of Arts & Science Building, 6135 University Avenue. 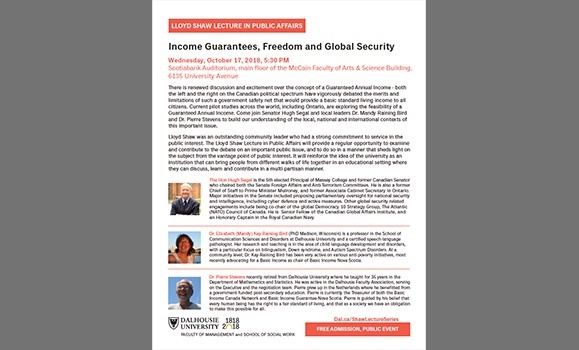 Income Guarantees, Freedom and Global Security is the topic of the Lloyd Shaw Lecture in Public Affairs on Wednesday, October 17. 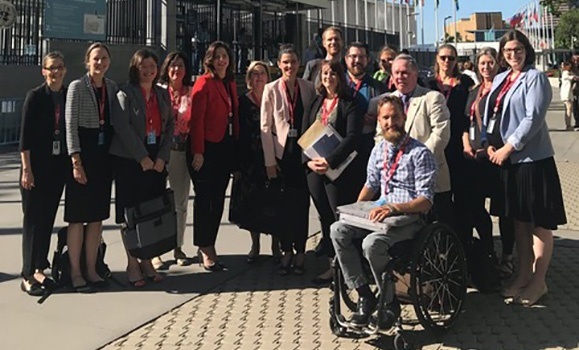 Congratulations to Nik Harris, a current MSW student, who was selected to attend a UN conference on childhood disability. Dr. Merlinda Weinberg was the keynote speaker at two conferences in 2018. 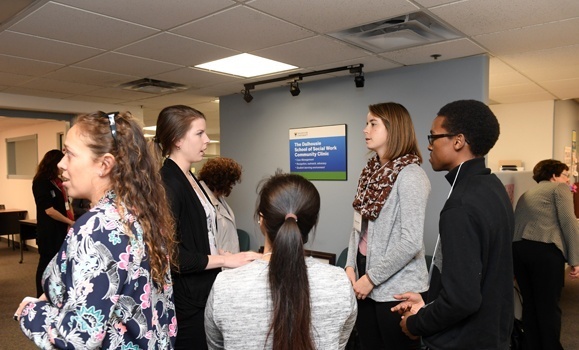 Dr. Merlinda Weinberg was the keynote speaker at two conferences in 2018, one international, one in New Brunswick. A big shout-out to Dr. Jeff Karabanow of Dalhousie's School of Social Work and his new book, Homeless Youth and the Search for Stability. Plan to attend a free public viewing of the award-winning film, Ninth Floor on Monday, February 26 from 6:30-9:30 p.m. in Room C140 at the Collaborative Health Education Building (CHEB) 5793 University Ave, Halifax. 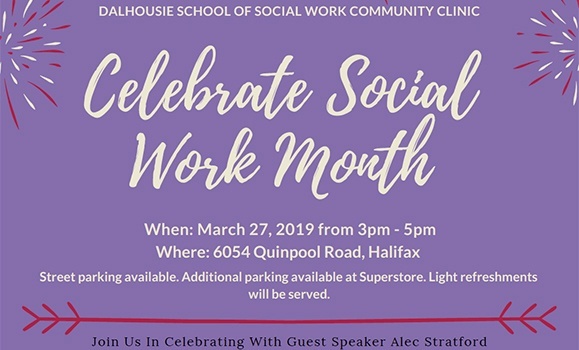 Congratulations to volunteer and co-founder, our School of Social Work's, Dr. Jeff Karabanow, for the 10th season for Out of the Cold Halifax..
Congratulations to School of Social Work Faculty Member, Dr. Marion Brown, on her two recent research grant successes.